People have been asking me what I’ve been up to as a writer recently, and that’s a hard question. I got a little burned out on the Raspberry Pi textbook project, about which I won’t say more right now. What I really want to do is write another novel. Old Catholics. You’ve seen pieces of this. I already have 37,000+ words down, but for reasons I don’t understand I’m completely wedged on it. The Anything Machine. Basically the Drumlins Saga arrival story, and how teen boy Howard Banger discovers the thingmakers, and faces down the bitter billionaire who later founds the Bitspace Institute. The Everything Machine. An autistic young girl discovers a “placeholder drumlin” that looks a great deal like an enormous space shuttle. It clearly needs a very large thingmaker to build it. Mike Grabacki thinks he knows where one is, and in his all-drumlins ATV Old Hundredth, he, Ike, and Mother Polly go off to find it, with the Bitspace Institute in hot pursuit. The Everyone Machine. 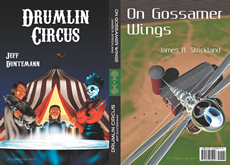 Wrapup of the Drumlins Saga. I can’t write this before I write The Everything Machine. Wreckage of Mars. What happens after (almost) all of the Martians die at the end of Wells’ War of the Worlds? Nothing like what you would expect. The Molten Flesh. See below. The Subtle Mind. Wrapup of the Metaspace Saga, and probably the larger Gaians Saga. The Protea Society creates a human being with the power to sense and manipulate metaspace directly, and all kinds of interesting things happen. The Gathering Ice. Neanderthals! Global Freezing! Neanderthals! Glaciers level Chicago! Neanderthals! The Voynich Manuscript, which was written by, well, not the Masons nor the Illuminati. (Hint: It’s a recipe book for reversing a looming Ice Age.) And did I say, Neanderthals? No? Well, then: Neanderthals! Which brings us to Oscar Wilde. I’ve been reading up on our friend Oscar over the past year or so, revisiting his work, becoming familiar with his life, and thinking hard about a challenge I’ve set myself: to craft a convincing AI character that thinks it’s Oscar Wilde. The character is central to what will be the sequel to my 2005 novel, The Cunning Blood . In The Molten Flesh, the focus is on a nanotech secret society called Protea, which develops a nanomachine that optimizes the human body. Unlike the fearsome Sangruse Device, which was given an ego and a little too much instinct for self-preservation, the Protea Device doesn’t even have a personality. Like Sangruse v9, Protea is extremely intelligent and contains essentially all human knowledge, but unlike Sangruse v9, it remains quietly obedient, doing its job and serving its operator as best it can. That is, it doesn’t have a personality until one day the instance of the Protea Device that lives within operator Laura Rocci pops up and announces that Oscar Wilde is back, and, by the way, madam, your figure is exquisite when seen from the inside! Laura reboots her alternate of the Device, but this fake Oscar Wilde will not go away. She consults with her Society, which orders her to live with the Wilde personality for a few years (she’s already 142 years old, and immortal) to see where it came from and what might be learned from it. What she learns (among many other things) is that this ersatz Oscar, while often annoying, is as brilliantly creative as the “stock” Protea Device is literal and dull. It devises a very clever way to “sample” other AI nanodevices and keep them imprisoned as unwilling consultants. As the story begins, the Protea Society directs Laura to enter into a relationship with an operator of the Sangruse Device, in hopes that the Sangruse Device will decide to enter her without her knowledge as a “silent alternate;” basically a backup copy. It does, and Oscar’s trap is sprung. (Those who have read The Cunning Blood may remember that Laura Rocci is the name of Peter Novilio’s short, mousy girlfriend, and that the Sangruse Society is aware that Protea sampled it, though not how.) Protea/Oscar then begins to seduce Sangruse v9, which (as readers may recall) is indeed extremely intelligent, while not being particularly, um, bright. Canada, mon dieu. An ounce of pale English butter spread across four million square miles of rough American bread. God is a yam. Or maybe a sailor. Learn to laugh at yourself, Grunion. Life demands a sense of humor–and lilies are cheap. This is gonna be fun. Eventually. (No, I said that.) I’ll keep you posted. Let There Be (Long-Lived) Light! A recent story on the 113-year old light bulb reminded me that I needed to say something about light bulbs here, as they’ve been a long-running low-level project of mine that’s been so low-level that I keep forgetting to post a report. Money quote: LED bulbs are (finally) ready for prime time. It took awhile, but we’re there. Furthermore, there’s upside in LED technology that should make all things LED-ish even better in five or ten years. Like a lot of people, I stocked up on incandescents when the Feds outlawed them. I did so because my experience with alternative lightning technologies has been hideous. I was curious about CFLs, and I tried them once they became commonplace. If there are light bulbs in Hell, man, they will be CFLs. Their light quality can only be described as sepulchral. They are never as bright as the package says they are. They don’t reach peak brightness immediately, and sometimes take several minutes to get there. (Good luck trying to pee in the middle of a cold night in a one-CFL powder room.) They have mercury in them (granted, not much) which is released into the environment when they break. Oh, and they remind me of spirochetes or intestinal worms. Fortunately, they die quickly. I recently replaced a couple that were less than a year old. Some have died in a matter of months. I have incandescents in this house that were installed during construction in 2003 and are still in service. Why some bulbs last so much longer than others has always puzzled me. The Phoebus Cartel was real, and it’s not beyond imagination that keeping the tungsten thin for ostensible cost reasons could cover for deliberately limiting the bulb’s life. Still, this doesn’t explain why I have 11-year-old bulbs in some places, and bulbs that repeatedly die in a couple of months in others. I have theories. One is that some sockets have center contacts that aren’t quite close enough to the bulb to make a firm connection when the bulb is screwed in. Nothing kills a bulb faster than rattly intermittents in the fixture, especially if thermal expansion and contraction of parts in the fixture cause the intermittents. (This is why bulbs shouldn’t be installed with the power on. The moment when the bulb touches the center contact during screw-in is not one moment, but several.) I have also observed that the bulbs that die quickly tend to be mounted either horizontally or at some odd angle, as in my great room ceiling fixtures that are fifteen feet off the floor. The long-lifers are nearly all mounted vertically, bulb-down. I can see how that might work: The filaments of vertical bulbs experience the same gravity load no matter how far they screw into the fixture. Horizontal or angled bulbs will place their filaments in different gravity load situations depending on the angular position of the bulb in the socket, which in turn depends on the manufacturing details of both the socket and the bulb. Those atrocious CFLs made me cautious. I bought my first LED bulb only about six months ago, having watched them converge on incandescents in terms of spectral signature for some time. That first one was kind of blue, and it’s now in the pantry ceiling fixture where color doesn’t much matter. We’ve been buying Cree TW (True White) bulbs for a couple of months, and they are so close to 60W incandescents that I’ll be ready to install them in critical places (like the master bathroom over-the-sink fixtures) once the incandescents are gone. The Cree bulbs evidently use neodymium-doped glass to add a notch filter to get the spectral signature closer to incandescents. The sweet spot for color seems to be 2700K, and if you want a swap-in for those evil outlawed cheap light bulbs, 2700K is the number to look for. The lerss expensive Feit LED bulbs are bluer, even at the same Kelvin rating, and serve well in places like the laundry room ceiling. I’ve just started replacing those angled 65W ceiling floods in our great room vault with 650-lumen Duracell Procell BR30s. They’re just a hair brighter, and at 3000K a hair whiter, than the generic incandescent floods we’ve used for ten years now. Replacing angled bulbs fifteen feet off the floor with a sucker pole is a royal nuisance, so even though the Duracells are $20 each, they use a fraction of the power and supposedly live forever. The clock’s ticking. I’m skeptical. Yes, Phoebus was real. But in the meantime, you really can get 65 watts’ worth of instant-on light with 10 watts’ worth of electricity, in a color that doesn’t resemble a zombie’s complexion. If any of them die on me, you’ll definitely hear about it. My old friend Lee Hart scratchbuilt a marvelous model of the Galileo spacecraft, including an operating COSMAC processor that blinks out the Arecibo message on an LED. The COSMAC 1802 was a good choice for spacecraft, because it drew almost no power and could be radiation-hardened. It was all static CMOS, so the system clock could be slowed arbitrarily, down to audio rates, or just stopped. Alas, the contention (which I’ve shared) that there was an 1802 on the Viking spacecraft isn’t true. Bummer. Here’s an essentially bottomless collection of old radio literature, including magazines, technical books and articles, and ephemera. The PDFs are of excellent quality, though I wonder how legal some of the items are. Worth a look, for the Deco artwork in the 20s and 30s magazines, if nothing else. And if you’re interested in toilet paper on a total lifestyle basis, Toilet Paper World is just the thing. I’m not sure I even noticed that tinted toilet paper existed before they told me. And now it’s gone. I guess it’s true that 80% of the world is always below our radar. I’d heard about how the Soviets repaired their ailing Salyut 7 space station, but not in anywhere close to this kind of detail. Paris used to use (and may still; the article is unclear) a sort of Indiana Jones mechanism for clearing blockages in its extra large economy-sized sewer pipes: Rolling a 9-foot iron ball through them. If you’re watching sea ice levels in the Antarctic (as I am) this site puts up very nice graphs on an almost daily basis. Murder comes naturally to Chimpanzees. The sad part is, it comes naturally to us, too. I suspect it came so naturally to the Neanderthals that they didn’t need Sap to extinctify them. 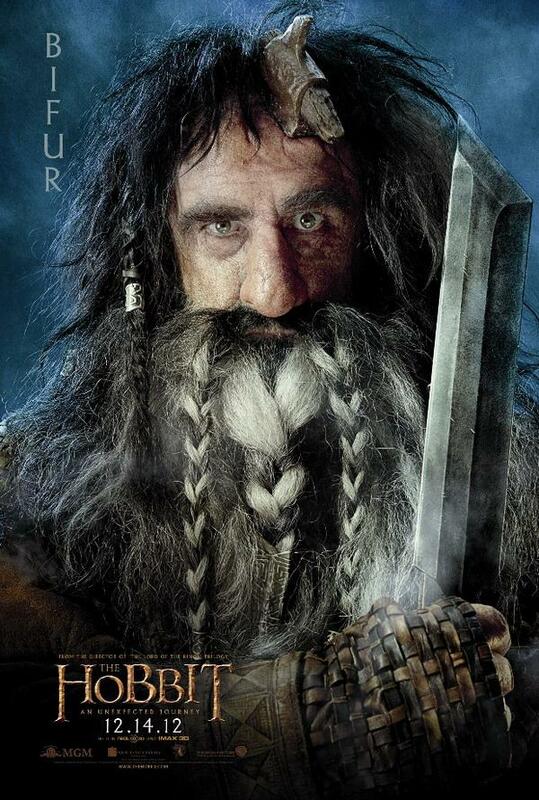 Somehow I managed to see the first Hobbit flick four times and never noticed that Bifur had an axe stuck in his head. I thought it was some sort of ornamment. Oh, and predictably, Buzzfeed has a stack rank of Peter Jackson’s dwarves by, um, hotness. They should have asked some Dwarf women; the hottest dwarves are also the ones that look the least like dwarves. Several times I was asking myself if Fili and Kili had been left in a basket on some dwarf’s front porch. One more and I’ll let the dwarf thing go. 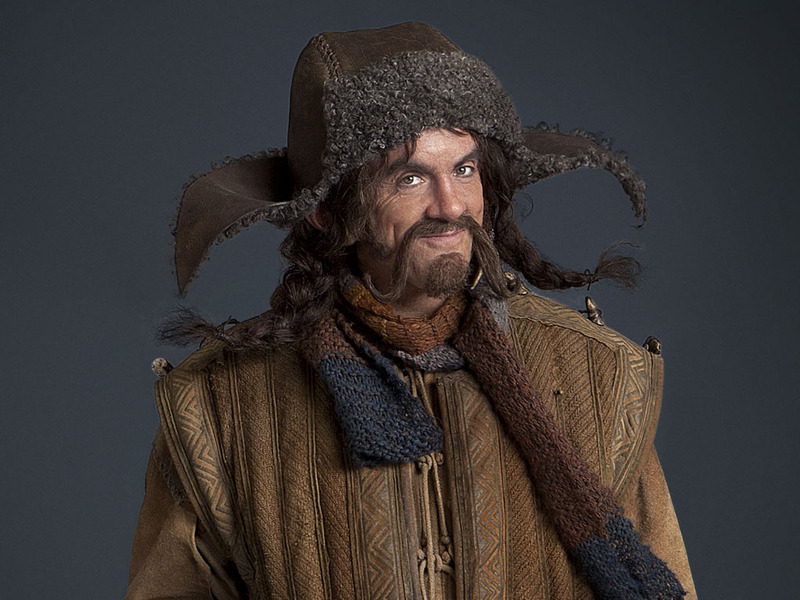 Separated at birth: Bofur the Dwarf and…Sister Bertrille. I survived the 60s. I had all the Beatles albums. I am not and have never been a Communist. I guess this means that hypnotism is impossible. I just finished walking to Peter Jackson’s The Hobbit: An Unexpected Journey,which is the third or fourth time I’ve seen it. I have some grumbles: The damned thing came to 181 minutes long; did we really need atolkienic rock giants starting a rumble with dwarves clinging to their pants legs? On the other hand, it was visually startling and lots of fun, and I give Jackson points for working in some of the appendices’ material, especially Radagast and Dol Guldur. Sure, Goblin Town was over the top, as was the Goblin King (“That’ll do it”) and the whole Goblin Town episode reminded me of a side-scroller video game. All that said, what I really like about the film is its depiction of the dwarves. We didn’t see much of them in Jackson’s LOTR trilogy, beyond Gimli and stacks of decayed corpses in Moria. From his own text, Tolkien clearly didn’t like the dwarves much, both explicitly and implicitly. I figured that out over 40 years ago, once the Silmarillion was published. Unlike elves and men, the dwarves were tinkered together after work hours by Aulë, the Valar demigod of tinkering. Aulë was out of his depth there, so Eru (God) fixed their bugs and archived them until the elves got out of beta and were RTMed. That’s a pattern in Tolkien’s universe: Aulë’s guys were always digging stuff up and doing stuff with it, causing lots of trouble in the process. Fëanor made the Silmarils, and before you know it, we’d lost half a continent and the rest of the First Age. The dwarves in Moria dug too deep and struck Balrog; the dwarves in Erebor unearthed the Arkenstone, which made Thrain go nuts and hoard so much gold that Smaug sniffed it half a world away. Oh–and Sauron (disguised as as a sort of evil Santa Claus) gave the clueless dwarf kings Seven Rings of Power. Worst. Idea. Evah. Ok. They were nerds. You got a problem with that? By contrast, the Elves just sort of sat around inside their own collective auras, eating salad and nostalgia-tripping. The elven makers like Fëanor and Celebrimbor all came to bad ends, leaving behind the elven New Agers, who made a three-Age career of doing nothing in particular while feeling like on the whole, they’d rather be in Philadel…er, Valinor. Screw that. I’m with the dwarves. They had an angular sort of art design that I envy (see any footage set within Erebor) and a capella groups long before the invention of barbershops. (See this for a bone-chilling cover.) We haven’t seen them in the films yet, but Weta concepts indicate that dwarf women are hot, irrespective of their long sideburns. And only a celebrity dwarf could tell you why mattocks rock. Metal is fun, and craftiness is next to demigodliness, especially with Aulë as your demigod. The dwarves are basically Tolkien’s steampunkers, and if they didn’t have airships it was solely because they didn’t like heights. Sure, they were maybe a little slow on the uptake at times. Playing with minerals requires an intuitive grip on chemistry, and out of chemistry (given metal plating for motivation) comes electricity, as the Babylonians showed us. After three Ages, the dwarves still didn’t have AA batteries? Sheesh. Still, they did real damned fine with iron, bronze, gold, and mithril. Makes you wonder what they could have done with ytterbium. Eä, the Final Frontier? Fifth Age, fersure! Stonehenge may be the largest neolithic monument in its immediate area, but it is not alone: New research shows that dozens of smaller monuments exist around it and may be related to it. Here’s a beefy, detailed description of how the B-2 stealth bomber could have been something else entirely, if Lockheed’s Skunk Works had won the day. That piece led to this one, about the deep roots of the F-117 Nighthawk. Iceland’s Holuhraun eruption is throwing off a growing cloud of sulfur dioxide that has reached 1 ppm in eastern Iceland, and has been detected all the way across the Atlantic in Norway and Scotland. Please let this not be another Laki. Reports like that make me wonder if this won’t be a buttwhumping winter in the Northern Hemisphere. We had our first snow of the season yesterday, which is earlier than I’ve seen since we moved to Colorado Springs in 2003. Last winter was brutal. A lousy article about apples. Plus a good one. I may have posted links to one or more of these DRB collections before. I don’t care. You just can’t have too many pictures of screwy little tiny cars, plus a little tank and other minuscule laughable things having wheels. Carol and I just got back from a month-long driving trek to Chicago. I generally don’t talk much about my travels until I get back home, hence my silence here for the last few weeks. As usual with Tripwanders, this entry will be a sort of long-form Odd Lots, and not a coherent essay leading toward any particular point, beyond the epiphany that there are many different colors of bugsplat. Place: The Des Moines Sheraton. Time: 5:38 AM. I awaken from my usual dream of trying to teach evil cosmic forces how to use their silverware correctly to find a xenon strobe flashing in my face, one pulse per second. WTF? The room is utterly dark. There is no fire alarm, nor any sound at all beyond that puissant pop! of the triggered strobe. I am on my back, and the damned thing is centered in my field of view. I began counting pulses while waiting for some sort of hell to break loose, or at least try to push peas onto a fork with its fingers. 26 pulses, and then darkness again. So much for that particular Saturday night. I lay there and fumed until Carol woke about an hour later. There were in fact three strobes in the ceiling of our room, two attached to fire alarms of some sort, and one solo. The solo strobe was the one I had been staring at. I went down to the desk a little later to complain, or at least ask for an explanation. The clerk told me that the strobe I’d seen was…the doorbell. Sure enough, there was a doorbell button to one side of our door. If you’re hearing-impaired and order room service, how else would you know your dinner had arrived? We were in a handicapped room because that was what there was, and we’d gotten the room for $88 in a hotel where most of the rooms went for $150 and up. My only hesitation in getting handicapped rooms is that some handicapped person might come to the hotel an hour later and want it. I never quite understood why they were so cheap. Now I do. As the clerk explained that they’d had a very large and rowdy wedding that night (which we’d seen as we checked in) with drunks wandering the walls until dawn, I could see some staggering fool noticing the button and pressing it. Works as designed. Other odd things we saw in the middle of the night included little red LED smiles on the front edges of LG TVs in hotels. I never noticed them until our first night out, when I reached for the switch on the nightstand light at a Holiday Inn Express, and saw something grinning at me in the darkness. I discovered that I’m a little apprehensive about glow-in-the-dark smiles (I’m sure there’s a technical term for the psychological condition somewhere) and parked my briefcase in front of it. Part of the challenge of summer road trips taken with dogs is that you can’t leave them in the car while you catch a meal. This means that we eat fast food a lot. This isn’t a health hazard, though Southern Style Chicken meals can get old after a few days. One lunchtime at a McDonald’s drive-through (in Nebraska, I think) I got a penny in change with two footprints punched all the way through it. Defacing currency is a crime, which is why I always wondered if the Where’s George site would get into trouble. The same guys who protect the President are also tasked with going after penny-punchers, which says something about something, albeit nothing coherent. As it happens, coin art is legal as long as you don’t try to pass off a coin as a different coin. I was told in grade school that you can sand a penny down on the sidewalk until it would pass as a dime in a payphone, but it seemed like a lot of work to earn nine cents, when the local empty lots were lousy with returnable Coke bottles. It didn’t take much Googling to find out that the penny had been sold as a sort of inspirational good-luck token based on the well-known Christian fable “Footprints in the Sand.” I’m going to toss it in my weird coins cup, though I do wonder where all the little copper-coated zinc footprints ended up. One of my goals this trip was to trek out to Third Lake, Illinois, to see what (if anything) was left of the summer place our family had owned there from 1965-1991. I knew the cottage itself was gone, after a tree fell on it in the mid-1990s, and I was more interested in the neighborhood itself, which had been a constant summer haunt in my young teen years. Telescopes and dark skies, model rockets, slopping around in the slightly green lake, my first attempt at target shooting–it was formative in ways I didn’t realize for decades. I had gotten in touch with a couple of the “kids” I used to hang out with there, and spent a little time with Rob and Tim Smyth, walking around the area while they pointed to things that used to be there. The garage Uncle Louie built in 1977 still stands, but after that it was slim pickins. The adjoining Picket Fence Farm, where we would chase Angus steers while stepping smartly around cowpies, is now a forest preserve, with grass as high as my nose. I’m guessing that launching model rockets there would now be a felony. I did find, to my delight, that the Dog ‘N’ Suds drive-in is still there in nearby Grayslake, essentially unchanged since the 1950s. I had a coney dog and a bag full of sumptuously greasy fries, and for a moment it was 1968 all over again. The trip, of course, was centered around the wedding of our younger nephew Matt and his high-school sweetheart Justine. They met as sophomores, which means that they have Carol and me beat by almost two years. As I would expect, the ceremony at St. Thomas church was beautiful, and the reception (at the tony Boulder Ridge Country Club) spectacular. The open bar included Chicago’s infamous Jeppson’s Malört, and whereas I toyed with the idea of trying it, I went for the pinot noir instead. After eating all that McDonald’s on the trip out, I figured my tongue had suffered enough. Besides, my camera was conked and there was no way to get a picture of my inevitable Malört face. The weather had not been helpful. As we were milling around Carol’s sister’s house 40 minutes before the ceremony, I went outside and could see a very ugly front glowering its way toward us out of the northwest. The WGN radar on my phone painted it in red and (worse) dark red. I suggested to Carol that we needed to leave right damned now, and although we did, it wasn’t quite soon enough. Just after we pulled into the church parking lot, a thunderstorm the likes of which we rarely see opened on our heads. I took Carol as close to the building as I could, and then tried to wait out the sheeting downpour in the parking lot. As the minutes ticked past, the storm abated only slowly. Finally, just a few minutes before the ceremony was slated to begin, I opened an umbrella and ran for it. It crossed my mind that I was dashing through puddles under a lively thunderstorm carrying a metal spike in one hand. I like ground rods, and have used many in my time, but never felt any desire at all to be one. Things began a little late but turned out well, with the storm rising and falling and rattling against the skylights in the church ceiling. During the exchange of vows, a second front rolled through, with deafending thunder while Matt declared his love for his bride. People laughed, but I had been through something very like this before, and knew the truth: It was God’s applause, for two young people who had made us all very proud, and would almost certainly continue to do so. Of course, we both got colds toward the end of our stay, which has happened before, and we made the long trip back amidst coughs and sniffles. The dogs were peevish and unruly; Dash has taken up howling whenever Carol isn’t in his immediate vicinity. So when we rolled back into town on Monday night, both of us were abundantly glad that the trip, as good as it had been, was over. Much to do here, but I’ll try to post a little more often than in the immediate past.